In 1928, at the invitation of students of the Leningrad literary institute, Kuzmin gave the final public reading of his life. He assumed the event would be poorly attended; the once great writer had been largely silenced and, he worried, forgotten. The reading was not advertised to the public and only students with tickets were allowed entrance. The director of the institute feared any reading by Kuzmin would attract a large contingent of homosexuals and, thusly, the attention of the authorities. The director was right to fear. On the night of the reading there came a crush at the doors, the ticket system broke down, and gays crowded in among the students. Kuzmin’s reading electrified the audience, and no surprise, as he read his poem, The Trout Breaks the Ice, a staggering work swirling with autobiography and cultural allusions that is also an ode to the triumph of desire—a poem that still maintains its electricity through translation and time. An ovation followed the reading and the gays pushed to the front, showering Kuzmin with flowers, bouquet upon bouquet landing at his feet. The director and student organizers quaked, soon they knew they would be called before authorities to account for the scandal (they narrowly escaped punishment, pleading ignorance), but Kuzmin beamed. Did he know this would be the last public reading of his life? The times had turned forcefully against him, and in the coming years his friends would be interrogated, and the apartment he shared with his lover, Yury Yurkun, would be searched, their artwork and writing seized—yet that night, he beamed. Did he know this would be, as one student attendee put it, “the last demonstration of Lennigrad’s homosexuals” for over half a century? (Kuzmin was lucky to die of natural causes in 1936; just two years later Yurkun was rounded up with other gay artists and shot.) Certainly he had a sense of the ice of repression spreading and thickening, of the long winter to come, but here were his people--like the beautiful tail of his trout--lashing, thrusting, against that ice. He beamed. That you’ve probably never heard Kuzmin’s name is testament to the soviet regime’s success in erasing gay contributions to the arts in Russia. For decades Kuzmin’s archives were strictly off limits to western scholars due to the “intimacy” of his diaries, which include delightful descriptions of St. Petersburg’s gay and literary society in the Silver Age, from musings on poetic influence to bathhouse experience (here’s just a taste, from a bathhouse encounter dated Dec. 23rd, 1905: “I was in that kind of terribly stupid but not unpleasant situation, when you know that both of you know something, but are keeping silent. He stared straight at me, motionless, with a kind of mermaid look, not quite drunkenly, not quite insanely, almost terrifyingly, but when he began to wash me there was no room for doubt.”) If literary history were more just, the diaries would be fully translated, published, and widely read, and the name Mikhail Kuzmin would be as familiar to Out readers as Oscar Wilde, Andre Gide, or Gore Vidal. 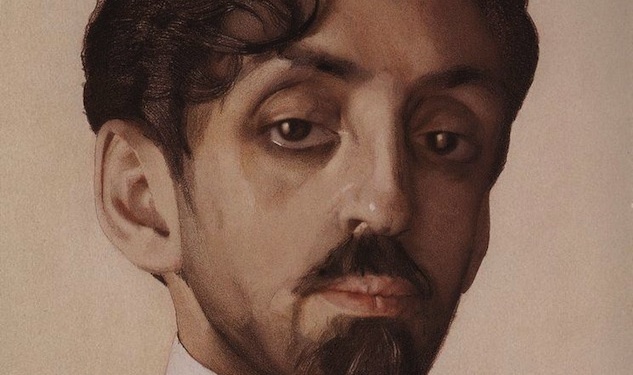 What we do have available in English is an excellent, gripping biography, Mikhail Kuzmin: A life in Art, by John Malmstad and Nikolay Bolgomolov, as well as The Selected Prose & Poetry of Mikhail Kuzmin, edited and translated by Michael Green. The latter volume contains stories, plays, the poem cycle Alexandrian Songs, and the shattering poem previously mentioned, The Trout Breaks the Ice. Also included in the selected works is a translation of Wings, Kuzmin’s novel of homosexual awakening—and here we arrive at the source of Kuzmin’s notoriety in life and one of the reasons he deserves reading today. 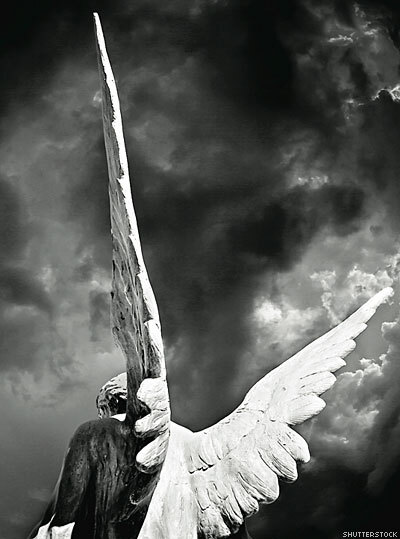 Wings is not only an aesthetically subversive work, but also a frank defense of homosexuality, in which the young protagonist confronts and accepts his desires with optimism and ultimately joy, likening this acceptance to growing wings. The novel was first published in 1906. Did you catch that date? 1906. In contrast to earlier works like Wilde’s The Picture of Dorian Gray (1890) or Gide’s The Immoralist (1902), the gay content isn’t just hinted at or implied (Gore Vidal’s The Tower and the Pillars is explicit, but wasn’t published until 1940). The book was an overnight sensation. Looking back over a century later, it is difficult to fathom Kuzmin’s courage; he shocked the system. Nothing like it had ever been published, not in the West and not in Russia. As print runs sold out the book was immediately reissued. Also difficult to fathom is the relative ease with which gay artists were allowed to live their lives and envision their possibilities in prerevolutionary Russia. With the crumbling of the czarist empire, and before Soviet repression took hold, we see a flowering of artistic daring and a measure of sexual freedom. But even so, Kuzmin’s daring humbles this writer, and ought to inspire us all. Wings is more than just historically important, the thing is good. Through a series of short fragments, we follow Smurov, the young orphaned narrator, as he is introduced to a new way of life and the nature of his own desire. Unlike the dominant Russian style of the time, the narrative is not concerned with complex psychological investigation. The fragments are impressionistic. We enter a scene mid-conversation, arrive for the juicy bits, and exit just as quickly. The cumulative effect is magnificent, modern, layered. The novel is structured in three parts, the first set in cosmopolitan St. Petersburg, the second in a rural religious community (Kuzmin himself came from a family of Old Believers and remained interested in their cultural legacy his whole life), and the final section in Italy. There you have the crux of a conflict that continues today: a conflict between the inheritance of Old Russia—rich in tradition, yet deficient in tolerance—and the modernizing pull of Western culture. The project to this novel—and of Kuzmin’s life—was to affirm Russian culture and homosexuality together. He believed in the power of art to achieve this. All of his works are deeply queer, deeply Russian, and deeply relevant to us today. Justin Torres’s work has appeared in The New Yorker, Granta, Tin House, Glimmer Train, and other publications. His debut novel, We the Animals, was published in 2011.